Every ten years or so, clergy in the Church of England are encouraged to take three months away from their usual duties and to use the space in ways that will help them, and hopefully those whom they serve. Between April and the beginning of July this year I was on sabbatical study leave. Over the twelve weeks I spent my time resting, praying, reading, studying, working alongside colleagues in different church settings and travelling. And I’ve also managed to complete another quilt! I am very conscious of the blessing this time has been, and I am so grateful to the ministry team, church wardens and PCCs for giving me the space to do this. An article in the newspaper last week highlighted the level of noise all around us, and the way in which prolonged or high volumes of noise can affect our physical and mental health. Even in this relatively quiet area it is hard to escape traffic noise, and many of us are ‘plugged in’ to music, conversation and communication all the time. 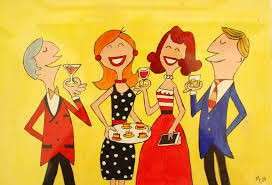 Conversely, we know that the sound of TV, radio and music can be a great source of solace and company to many. However, for large numbers of people silence is very rare indeed and can seem daunting. At the beginning of my sabbatical I went to North Wales, to St Beunos retreat centre. There I spent a full week in silence, broken only by a twenty-minute daily conversation with my retreat guide. I discovered that silence is not just the absence of noise. Some sounds grew clearer in the ‘silence’ – the sound of my heartbeat and footsteps, the movement of the trees, birdsong, the everyday sounds that are so often drowned out by the noise I impose. Silence removed all my usual distractions – for example, on my retreat reading was discouraged, as of course were TV, internet etc. A challenging consequence of this was that I had to face things about myself that I would probably rather avoid! But it also sharpened my other senses, heightening my awareness of the world around me, and the many blessings of life. Most of all, as the silence did its work, it brought with it a greater sense of peace and calm. We will also say farewell to our Children’s and Families’ worker Kathryn Radley who is leaving for personal reasons – we are immensely grateful for the wonderful work she had done in the last four years. You are invited to “Breathing Space” – short, reflective times of stillness and prayer which are taking place again in August. Each time is from 6.30-7.00 pm. If you have any queries please ask Hilary. 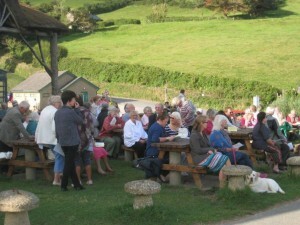 Our popular songs of praise services on Branscombe beach are taking place again this year at 6.00 pm on Sunday June 10th and Sunday August 19th. Everyone is welcome; there is free parking with thanks to the Sea Shanty, and you can book fish and chips there afterwards. Please book by Sunday August 12th with Norman Brimson (680224) or Pat Ayles (680328). The service will be indoors if wet.